Seriously, as I’m a rule breaker, let’s mix this up a bit….. 7 questions….you guys tell me what you want to know. So I’ll answer the first 7 questions in the comments ok.
Ok, over to you guys *bites finger nails nervously* 7 questions……??????? 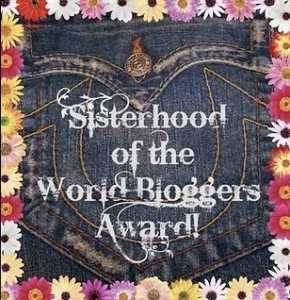 This entry was tagged Blog award, Blogging, Sisterhood Of The World Blogger Award, Site Awards, Writer, Writing. Bookmark the permalink. I love it when you break the rules! Question: What is/are your favourite genre(s) to read? Thank you for the first question! Cool! I was always curious to know. I figured you were probably a chick lit sort of girl. 😀 It’s cool you are also into classics and thrillers. I’m with you on the characters – I generally prefer thrillers, fantasy, and historical adventure books, but if I care about and connect with the characters in any story, I’ll read it. Here’s my question: How much time each day do you spend blogging (writing your own posts and reading/commenting on others)? Your blog is absolutely brilliant, and you write loads too, so I’m curious to know how you do it all! We all suffer with the same addiction! No need to be embarrassed. I know I am a bookkeeper – but I lose count after the first 100! When you write a story, are you a planner or a pantser? I know you do character profiles, which are thorough, but wasn’t sure about the rest. Congrats and thanks for the nom. Sooooo, for Nano this year I will be planning meticulously (see tomorrows post). What about you? My planning usually ranges from nothing to a brief summary of characters or what the story’s about. This most recent piece is a bit different. I’m actually writing out in a notebook how I want the scenes to go before I write them. I’ve actually stayed on track doing that. I’m finding that the story feels fuller and flows better. I only plan a couple of scenes ahead though and it’s a brainstorm as opposed to an outline. But whatever helps, right? 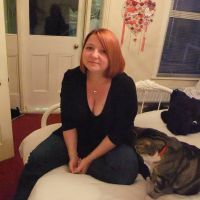 Vikki – thanks so much – I am super honoured to be named by you as a sister–and I accept that part of it. It’s so cool to be part of the sisterhood of the world! 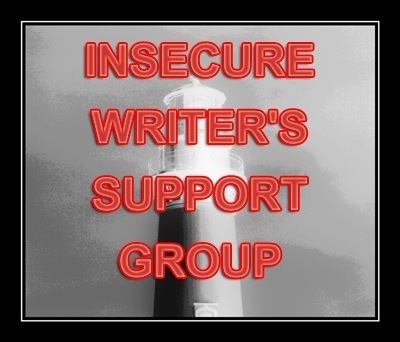 It does feel as though my bloggy/writer friends and I share a special bond. How about: Since stories are often inspired by real life, pictures, songs, or whatever– what is the strangest thing that has inspired a story for you? It was inspired by seeing Adam Pearson interviewed on TV. Adam campaigns for acceptance of people who are disfigured, and has such a great attitude. Strong, confident….it got me thinking, what if you had the condition but you WERNT confident? Wow! What a nice thing to see this morning. Thank you so much! Am I too late for asking a question? It not, how about this one: If you could have one special talent, what would it be? Good answer. Other than writing, mine would be playing the piano . . . Thanks for mentioning me! Anyway, my question is: How did you get into writing?